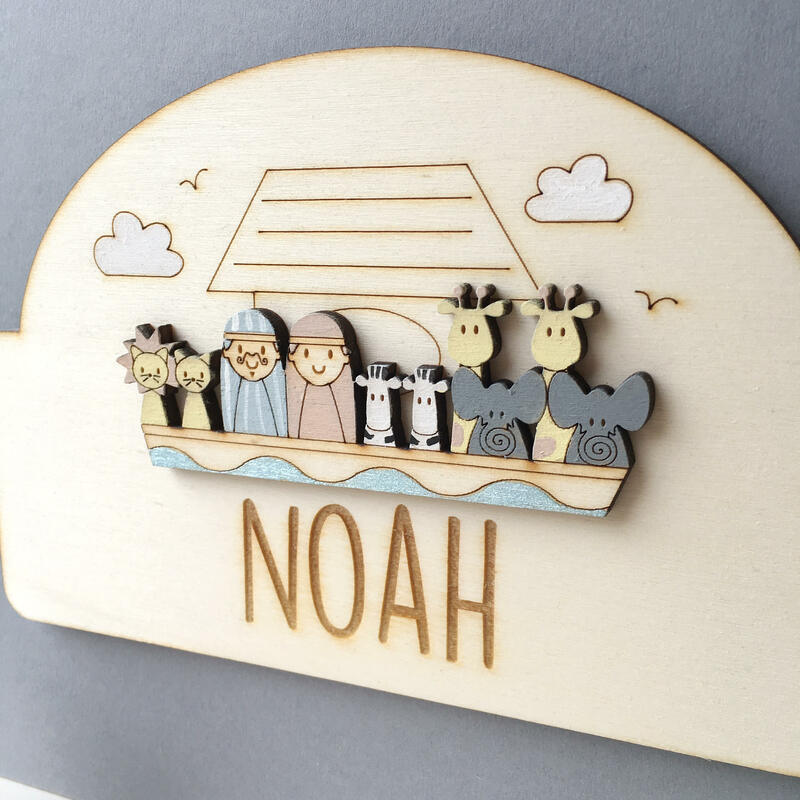 A sweet personalised noah's ark door sign. 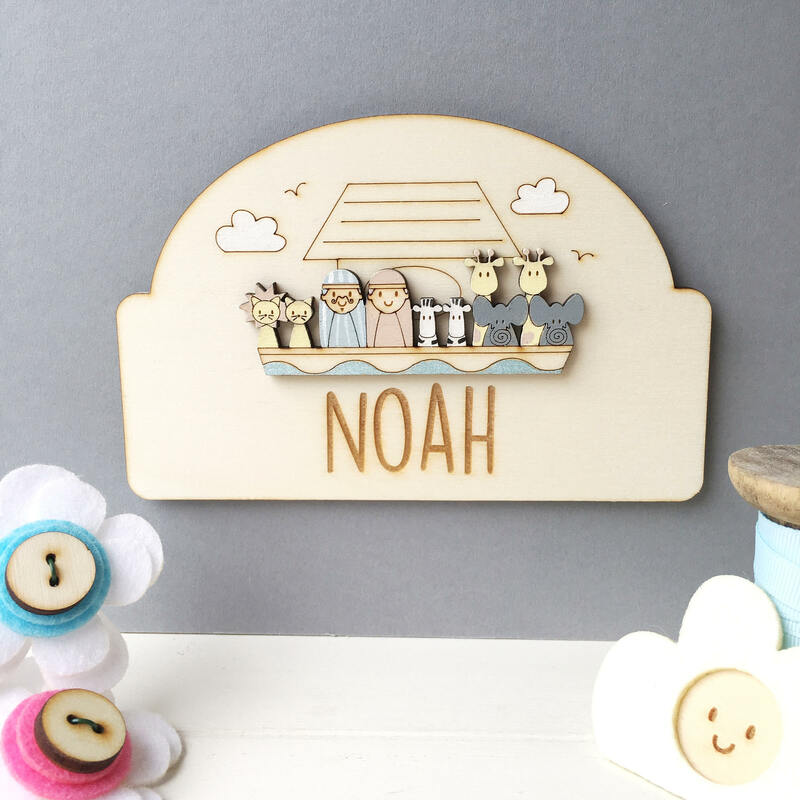 The sign features Noah, Mrs Noah and the animals two by two. It has hand painted details. Each plaque is beautifully hand finished and engraved with a name. The plaque is made from plywood and the back is finished with adhesive tape to hang it. 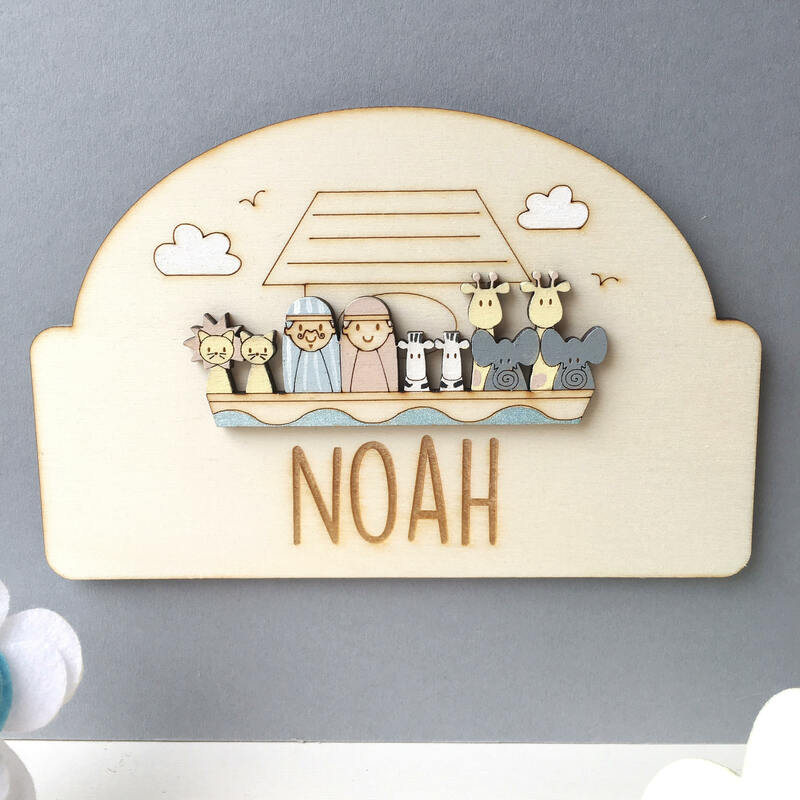 A lovely addition to a child or baby's room.